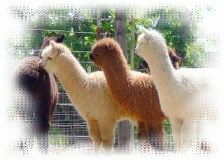 We searched the US for elite alpaca genetics so we may offer outstanding bloodlines of exceptional quality. 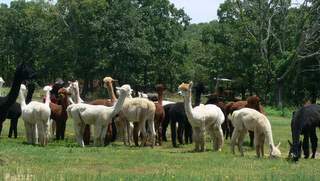 Our alpacas are bred for correct conformation, fleece uniformity, fineness and density, fleece character, and easy temperament. 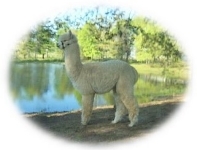 Some of our award winning huacaya bloodlines include Accoyo Caligula, Hemingway, Victor, Camilio, Black Magic, Legacy, Augusto, Nautilus, and Santino to name a few. Walnut Creek is excited to announce our expansion by partnering with two outstanding farms. 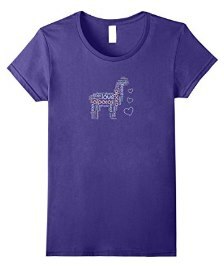 Our partners include... Alpaca Alliance and Benvenuti Farm. We now co-own many outstanding herdsires that are now currently standing stud at Walnut Creek. We are delighted to be able to offer more superior diversified bloodlines to our customers. We also have herdsires, visiting from other farms, now standing stud at Walnut Creek to add even further to the bloodlines available to our clients. At Walnut Creek we are continually striving to improve our herd so we can make a big impact not only in the show ring but in the industry as a whole. 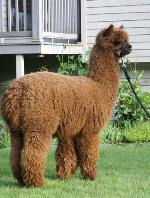 Finer and denser fleeces with character that will knock your socks off!!! You are invited to visit and look at our outstanding herdsires we have to offer for stud as well as the gorgeous gals we have for sale… many bred to these awesome studs. We also have their offspring for sale. Be sure to check out their pedigrees and their stats, they're awesome! We will have specials on the stud fees from time to time so be sure to check back. Visit Walnut Creek's Blog to see what we're up to and for the latest news. 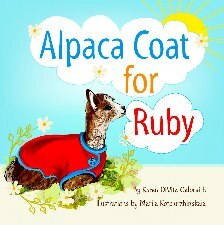 Visit our alpaca books reference page for more information. Thank you for visiting our farm site!